#202 is a stunning condo full of light and comfort thanks to its 1227 square feet, beautifully decorated with 2 bedrooms, 2 bathrooms and a private terrace of 204 sq ft, ideal to experience unforgettable sunsets while you admire the beauty of the Ecuadorian Pacific. As soon as you own your condo, you will have access to world-class amenities such as tennis & sport club, full modern gym, comfortable and luxurious social areas with swimming pool. Its strategic location will give you access to facilities such as the brand new Manta Medical Center for the highest-end medical treatments, the La Cuadra mall providing access to shopping, dining and pharmacies and access to the brand new Mall Del Pacifico. 2003 MYKONOS MANTA: One-of-a-kind luxury condo for sale located in Manta's most desirable community! #2001 is a stunning condo full of light and comfort thanks to its 2,260 square feet, beautifully decorated with 2 bedrooms, 2 bathrooms and a private terrace of 398 sq ft, ideal to experience unforgettable sunsets while you admire the beauty of the Ecuadorian Pacific. 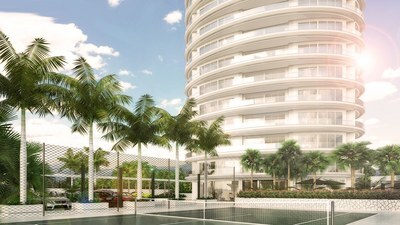 As soon as you own your condo, you will have access to world-class amenities such as tennis & sport club, full modern gym, comfortable and luxurious social areas with swimming pool. Its strategic location will give you access to facilities such as the brand new Manta Medical Center for the highest-end medical treatments, the La Cuadra mall providing access to shopping, dining and pharmacies and access to the brand new Mall Del Pacifico. 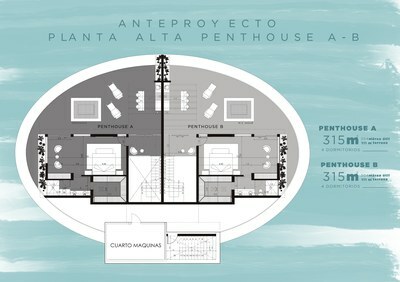 1903MYKONOS MANTA: (SOLD) - One-of-a-kind luxury condo for sale located in Manta's most desirable community! #1902 is a stunning condo full of light and comfort thanks to its 1,227 square feet, beautifully decorated with 2 bedrooms, 2 bathrooms and a private terrace of 204 sq ft, ideal to experience unforgettable sunsets while you admire the beauty of the Ecuadorian Pacific. 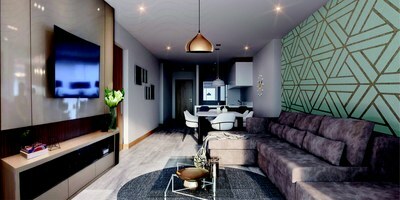 As soon as you own your condo, you will have access to world-class amenities such as tennis & sport club, full modern gym, comfortable and luxurious social areas with swimming pool. Its strategic location will give you access to facilities such as the brand new Manta Medical Center for the highest-end medical treatments, the La Cuadra mall providing access to shopping, dining and pharmacies and access to the brand new Mall Del Pacifico. Copyright © 2009 - 2019 Propertyshelf. All rights reserved.